The NASA gives us this wonderful color photo of Pluto at an incredible resolution. 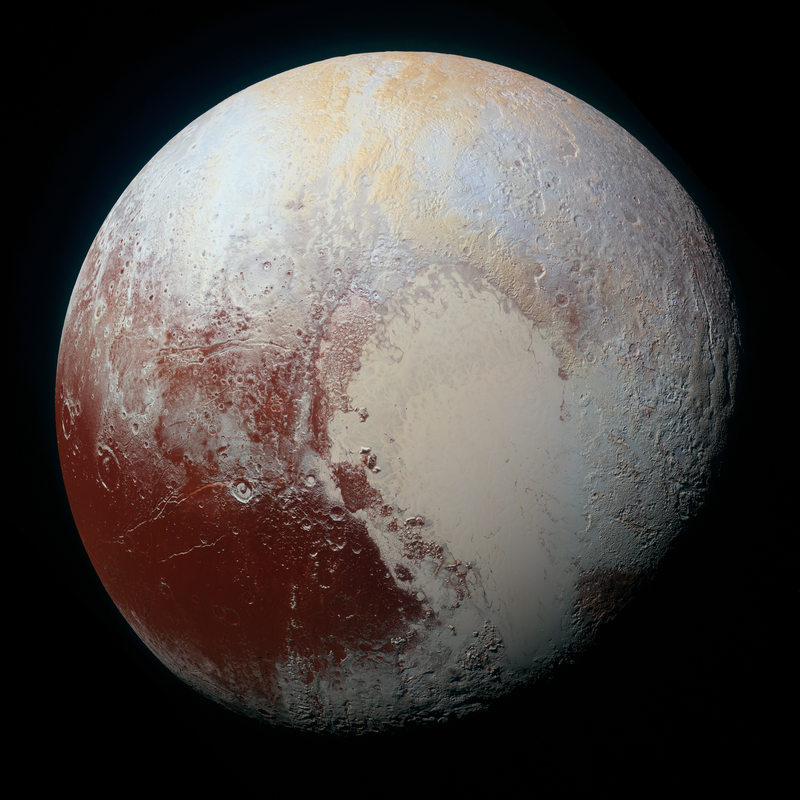 foto Pluto has color and an incredible resolution of 8000×8000. It is an image taken by the aircraft with enhanced New Horizons Pluto on July 14, 2015. Color The image is a combination of infrared shots, blue and red jacks for Multispectral Visual Imaging Camera (MVIC). Many landforms have their own colors, which have a complex geological and climatological history scientists have only begun to decipher. In the image detail and color are resolved in as little as 1.3 kilometers scales. Descarga image, zoom and appreciate this wonderful picture in which you can glimpse the complex characteristics of the surface of Pluto. The photo of Pluto is a png file from a high resolution not download it to your mobile data connection.